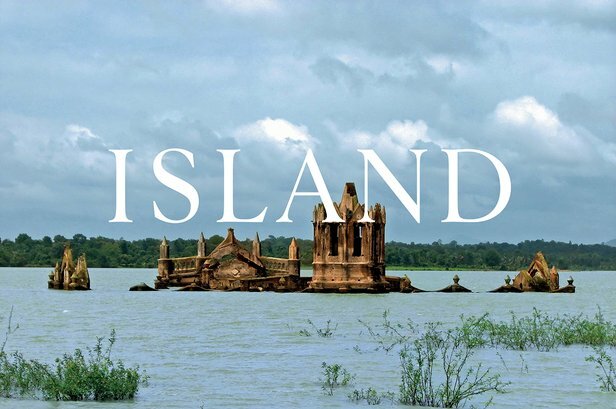 The British Council presents Island at the British Pavilion at the 16th International Architecture Exhibition – La Biennale di Venezia, which runs from 26 May to 25 November 2018. 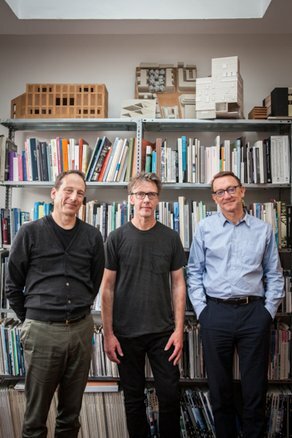 The curatorial team, Caruso St John Architects with artist Marcus Taylor, respond to the 2018 Biennale’s theme of Freespace – set by Biennale curators Yvonne Farrell and Shelley McNamara – with the construction of a new public space on the roof of the British Pavilion. This elevated piazza offers visitors to the Giardini a place to meet and a unique vantage point looking out across the Lagoon. At the centre of this new public space, the peak of the Pavilion’s roof protrudes up through the floor, suggesting both an island and a sunken world beneath. Below, the doors of the Pavilion are open to visitors, but the building is empty of exhibits. 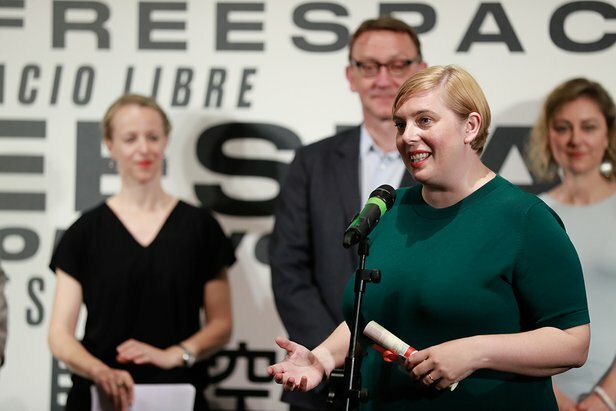 Throughout the Biennale, the British Pavilion will programme a unique series of events including poetry, performance, film and architectural talks and debates in response to Freespace and ideas raised by Island. 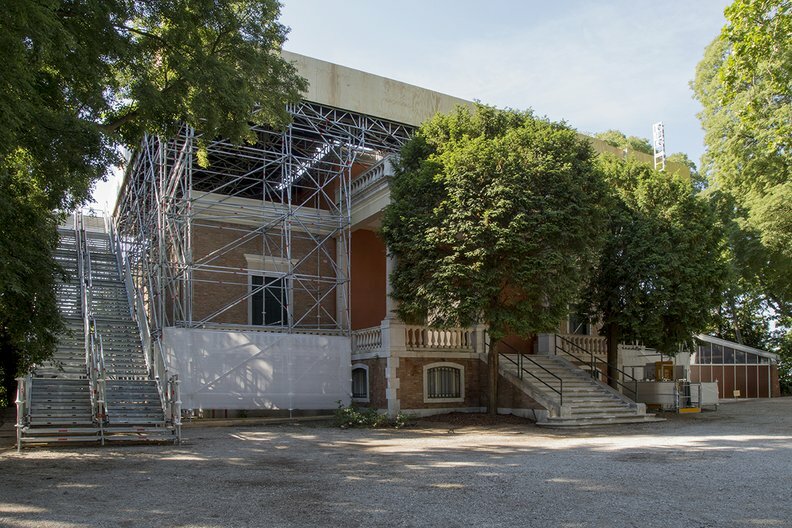 Our curatorial team, Caruso St John Architects with artist Marcus Taylor, have responded to Freespace, the theme of the Venice Architecture Biennale 2018 – set by the curators Yvonne Farrell and Shelley McNamara – with the construction of a new public gathering space in the Giardini in Venice. 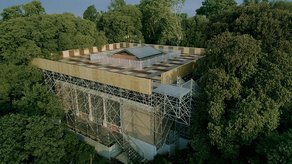 Visitors approaching the British Pavilion will find the building covered with scaffolding supporting a wooden platform at roof-level. 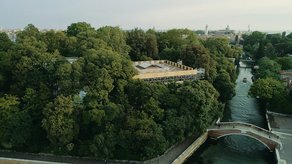 A staircase running the length of one side of the building leads up to an elevated piazza, a place to meet or to relax amongst the tree-tops of the Giardini, open to the sky with views across the Lagoon. Tea will be served at 4 pm each day, with seats and umbrellas offering comfort and shade. 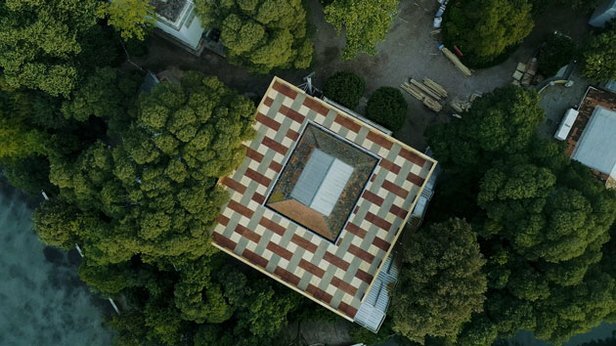 The peak of the Pavilion’s roof projects up through the floor at the centre of the space, suggesting both an island and a sunken world beneath. 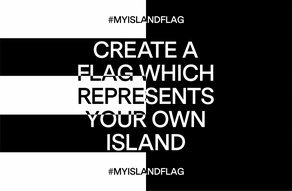 Throughout La Biennale di Venezia, the British Pavilion will host a programme of events, performances, installations and debates responding to the theme of Freespace and ideas raised by Island. The programme is launched at the opening of the Pavilion with a performance by spoken word artist Kate Tempest and has been produced in collaboration with partners including Tate Collective, the Royal Academy of Arts, the Design Museum, musician Matthew Herbert, poet Inua Ellams, Studio Wayne McGregor and many more. It will address topics ranging from migration and decolonisation to language and borders, from isolation and identity to buildings and landscapes. With the exception of these performances, the building will be empty, abandoned and untouched after the last exhibition. A detailed Pavilion schedule will be made available to visitors at the start of each month from June to November and please find updates on our programme page on the British Pavilion website here. 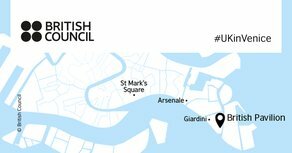 Find out more about the British Pavilion in Venice here.